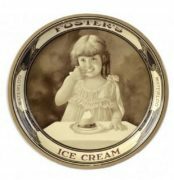 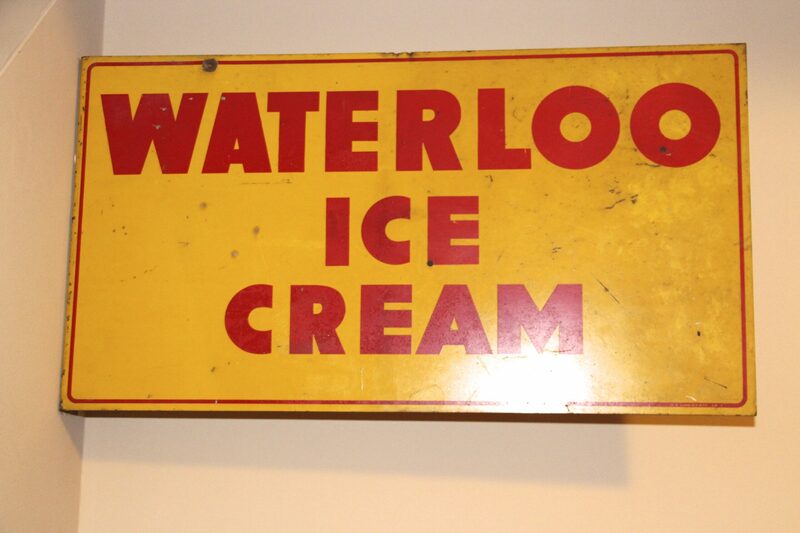 This Metal Flange Sign features Waterloo Ice Cream made from from The Waterloo Milk Company. 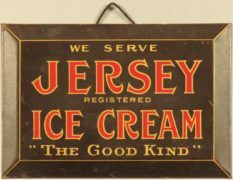 The sign has a yellow background and red lettering with “Waterloo Ice Cream” on both sides. 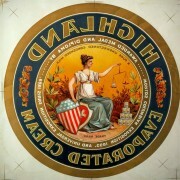 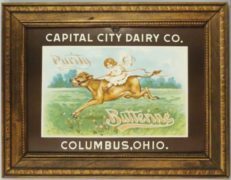 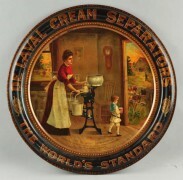 This double-sided sign is the only one known to exist from this small dairy.